Avatrombopag was FDA approved for the treatment of thrombocytopenia in adults with chronic liver disease scheduled to undergo a procedure.36 Avatrombopag was studied in the ADAPT-1 and ADAPT-2 trials, which were identical double-blind, placebo-controlled, phase 3 studies evaluating the use of avatrombopag in treating thrombocytopenia in patients with chronic liver disease undergoing scheduled invasive procedures.38 Randomized patients received either avatrombopag or placebo for 5 days. A scheduled invasive procedure was performed 5 to 8 days after the last dose of drug or placebo. Follow-up continued another 7 days after the procedure was completed.38 The primary endpoint was the proportion of patients not requiring platelet transfusion prior to the first invasive procedure and no need for rescue therapy for bleeding up to 7-days post-procedure.38 Significantly more avatrombopag-treated patients did not require platelet rescue therapy compared with placebo (66%-69% versus 23%-35%). 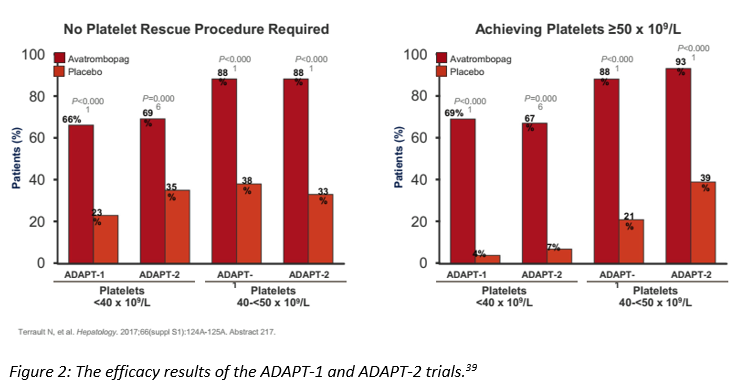 In addition, significantly more patients in the avatrombopag arm achieved a platelet count ≥50 x 109/L compared with placebo.38 The efficacy results of the ADAPT-1 and ADAPT-2 trials are shown in figure 2. Terrault N, Bibbiani F, Chen Y-C. Superiority of avatrombopag (AVA) to placebo (PBO) for the treatment of chronic liver disease (CLD)-associated thrombocytopenia (TCP) in patients undergoing scheduled procedures: results of 2 randomized, PBO-controlled phase 3 studies. Hepatology. Hepatology;(2017;66(suppl S1):):124A-125A. Abstract 217. Harding FA, Stickler MM, Razo J, DuBridge RB. The immunogenicity of humanized and fully human antibodies. mAbs. 2010;2(3):256-265. FDA Approves Promacta (eltrombopag), the First Oral Medication to Increase Platelet Production for People With Serious Blood Disorder. Drugs.com. https://www.drugs.com/newdrugs/fda-approves-promacta-eltrombopag-first-oral-increase-platelet-production-serious-blood-disorder-1188.html. Accessed August 13, 2018. PROMACTA® Prescribing information. https://www.accessdata.fda.gov/drugsatfda_docs/label/2018/022291s020,207027s005lbl.pdf. Accessed November 19, 2018. Research C for DE and. 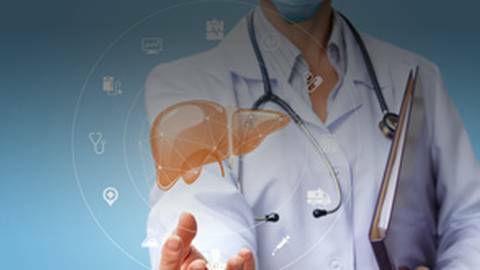 Approved Drugs - FDA approves avatrombopag for thrombocytopenia in adults with chronic liver disease. https://www.fda.gov/Drugs/InformationOnDrugs/ApprovedDrugs/ucm608323.htm. Accessed November 16, 2018. Research C for DE and. Approved Drugs - FDA approves lusutrombopag for thrombocytopenia in adults with chronic liver disease. https://www.fda.gov/Drugs/InformationOnDrugs/ApprovedDrugs/ucm615348.htm. Accessed August 9, 2018. Izumi N, Osaki Y, Yamamoto K, et al. 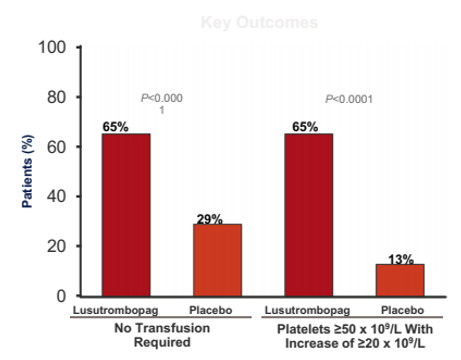 a Phase 3, Randomized, Double-blind, Placebo-controlled Study of Lusutrombopag for Thrombocytopenia in Patients with Chronic Liver Disease Undergoing Elective Invasive Procedures in Japan (l-plus 1): lb-30. Hepatology. 2015;62(6). https://insights.ovid.com/hepatology/hepa/2015/12/000/phase-randomized-double-blind-placebo-controlled/72/01515467. Accessed November 14, 2018. Afdhal N, Duggal A, Ociai T. Lusutrombopag for Treatment of Thrombocytopenia in Patients with Chronic Liver Disease Who Are Undergoing Non-Emergency Invasive Procedures: Results from An International Phase 3, Randomized, Double-Blind, Placebo-Controlled Study (L-PLUS 2). Hepatology. 2017;66(suppl S1):1254A. Abstract LB-1. What’s the best way to manage low platelet count in patients with chronic liver disease? This article will discuss the pathophysiological mechanisms and consequences of thrombocytopenia in patients with chronic liver disease as well as the mechanism of action, efficacy, and safety profiles of thrombopoietin receptor agonists for the treatment of thrombocytopenia in patients with chronic liver disease.